I’ve been hibernating. January went and vanished on me, but I think it almost always does, in the coldness and the snow. The February snow currently falling outside the windows looks like an aggressively shaken snow globe. 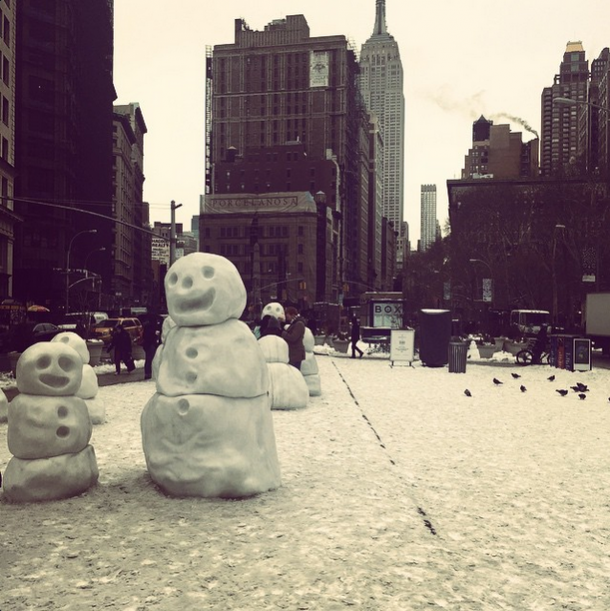 New York in the snow is cold and magical. I’ve been writing and then re-writing and then going back to blank slate and writing all over again. Someday I will make it out of word soup phase. Someday. But for now I am snuggling up in my imagination and trying to sort story-stuff into proper sentences. I’ve been cooking a lot. We’re close to perfecting our whole chicken in the crock pot technique. While we were playing Dragon Age Inquisition instead of watching the Superbowl I made honey bourbon amaretto sours. Tonight I am making potato leek soup. 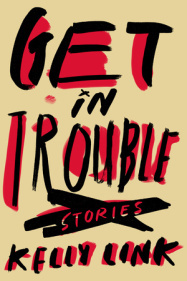 Tomorrow is February 3rd and that means Kelly Link‘s new short story collection Get in Trouble comes out. I had the pleasure of reading it last year and it is absolutely fantastic, in the most fantastical of ways. The lovely thing about Kelly Link stories is that while they are each so inventive and unique they are also distinctly hers. Had this collection arrived without an author name I still would have known they were Kelly Link stories. No one else writes such weird wonderfulness quite the same way. If you have never read her stories I highly recommend them, and you can read one of the stories from this collection right over here.